Long bricks, also called Roman bricks, are long format clay bricks with a length of more than 500mm (19.69 inch). This special size makes itself a unique form of expression for contemporary brick buildings in addition to color and texture. These slender bricks have great potentials of creating limitless aesthetic effect when installed in different staggered dimensions, different depth or bond patterns. Because of the high performance in durability, sustainability and functionality, clay bricks have been using as facade material in construction industry for centuries. Now the long brick give this classic product a new vitality and design possibilities. 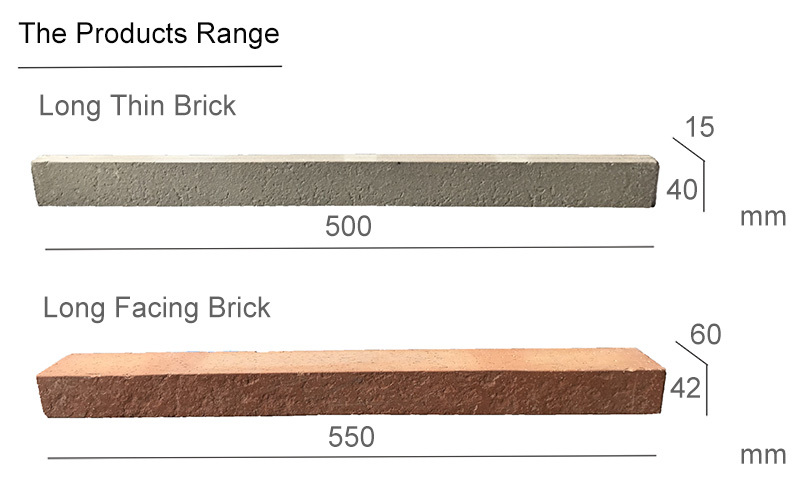 LOPO long brick series includes long thin bricks and long facing bricks. Both products have matching corner bricks. In addition to regular extruded clay long bricks with wide ranges of textures and colors, LOPO also offer distinctive handmade long bricks that have a unique decorative impact. We offer customized colors, textures and dimensions to cater for different projects requirements. 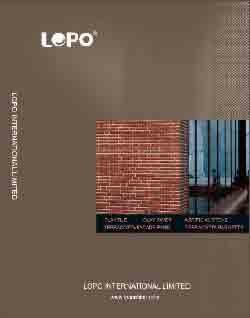 LOPO Long thin bricks are linear clay veneers used as conventional decoration or precast cladding for exterior and interior walls. 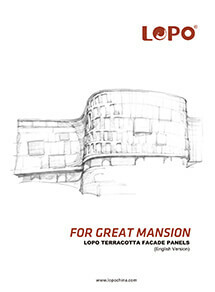 LOPO long facing bricks are long-format solid wall bricks with various textures and colors to express a unique architectural horizontal design.